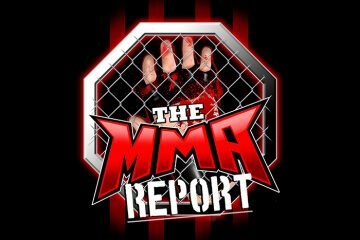 UFC 228 will take place this weekend in Dallas and get a complete preview of the fight card on this episode of The MMA Report Podcast hosted by Jason Floyd and Daniel Galvan. In addition to previewing UFC 228, this week’s show features interviews with Daron Cruickshank, Seth Baczynski and Blake Bilder. During their preview of UFC 228, Jason and Daniel will tell you which fights outside of the main event interest them the most and they tell you which betting underdog they believe has the best chance to win. Plus, they will give you their picks for all of the fights and have an discussion on whether or not a loss by Diego Sanchez could lead to Dana White asking him to retire. Following the UFC 228 preview, the guys answer a listener question about their top ten MMA and boxing fights in 2018. And if you want to have your question on next week’s podcast, you can tweet them to Jason or leave a comment below in the comments section. 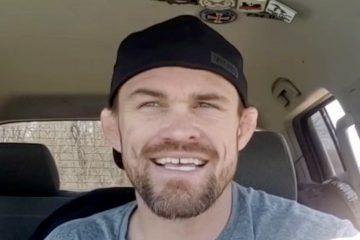 Then it’s on to the interview portion of this week’s show as you will hear Jason’s conversations with Daron Cruickshank, Seth Baczynski and Blake Bilder. 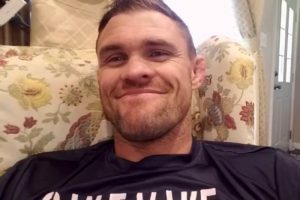 Cruickshank previews his matchup at RIZIN 13 against Diego Brandao, Baczynski talks about his title fight against Teddy Ash at Unified MMA 34 and Bilder previews his fight on Saturday against Dennis Linton at King of the Cage. Finally, Jason and Daniel wrap up this week’s podcast by having their weekly Buy/Sell segment. They hit on four different MMA topics including if Sage Northcutt’s next fight could take place outside of the UFC and whether or not they believe Darren Till will make weight for UFC 228. And this week’s podcast is presented by MyBookie. For The MMA Report Podcast listeners, MyBookie will match your first deposit 100% up to $1,000. All you have to do to take advantage of this offer is head over to MyBookie and use the promo code MMAREPORT when creating your account to claim the bonus. YOU PLAY, YOU WIN, YOU GET PAID. Where will these MMA free agents sign with? Alvarez, Barnett, Belfort, Northcutt, Soto, Kaufman, Bigfoot Silva, Erick Silva, Tibau, Tom Lawlor? And I’ll add Grabowski. I hope Alvarez goes back to Bellator even if it’s a 1 fight deal to fight Chandler for a 3rd time. I wanna see Barnett sign with Bellator. Lawlor and Tibau I hope sign with Rizin. I wish Bellator would sign Kaufman for their 145 division. Soto and Bigfoot will prolly sign with ACB or Rizin. Norcutt re signs with UFC. Belfort is bound to sign with Bellator. Grabowski maybe ACB. Erick Silva maybe ONE. If the Rays didn’t rebuild and tried to make playoffs this year. They still probably wouldn’t have made it even if they won 90 games. Do you think some MMA promotion will take a chance on Fedor’s brother? Maybe even the UFC like they did Greg Hardy? KSW, ACB, M1, or Fight Nights? Are you referring to Ivan? I didn’t know he had 2 brothers. Ok then Ivan and Alex. I was referring to at first the insane brother. I do not see any North American promotion getting in the Alexander business. What about the other promotions I mentioned? Looks like Woodley’s a free agent after tonight. 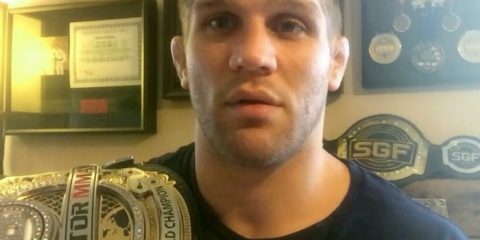 In 2014 he signed an 8 fight deal and that started with the Rory fight. The 8th fight would be tonight vs Till. Do you know when Fedor’s brother Ivan will make his MMA debut? For sure it will happen in Russia. Maybe his first few fights will be in Russia.